If you’re at all unsure about how to deal with your blocked nose, it can be frustrating waiting weeks to see a doctor when you just need a quick answer now. Our doctors can see you on your smartphone, tablet or computer from 7am until 8pm every day, with appointments available in minutes. You can see a GP in the comfort of your own home and get all the help you need with your nasal congestion. Our doctors will discuss your symptoms with you and provide all the advice and treatment you need to deal with your blocked nose as quickly as possible. 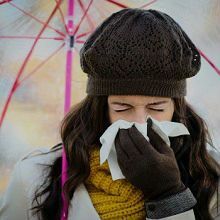 Also known as catarrh or a blocked nose, nasal congestion can occur with a wide variety of medical issues, from colds and flu to allergies such as hay fever. Any condition that causes your nasal cavities to narrow may also be to blame. For example, nasal polyps are swellings that occur in the nostrils or sinuses. In most cases, it’ll go away when the illness that’s causing it clears up, but if you’re struggling to shake off your nasal congestion, one of our experienced doctors will be able to help you. Apart from the obvious, a blocked nose causes a number of other minor issues that can be distracting and get in the way of everyday life. There are so many different things a blocked nose could be. With Push Doctor, there's no need to guess. Our doctors can see you in minutes and give you fast diagnosis, so you can start effective treatment straight away. In most cases, treating the underlying condition that’s causing your blocked nose will be enough to get rid of it. That’s why your doctor’s first port of call will likely be to treat your blocked nose as a symptom and investigate it further. 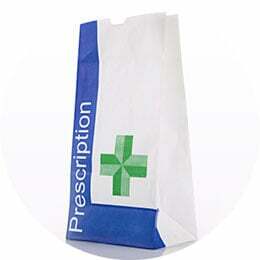 Conditions such as flu will clear up on their own, while an allergy may be more easy to manage with medication.